High school English teacher Skyler Foxe is now out and proud, even though a few months ago he had no intention of being so. But since the cat is now out of the bag, he embraces it as well as his boyfriend, head football coach, Keith Fletcher. But who is that good-looking gay parent hanging around Keith, causing mischief at the school as well as in Skyler's private life? And then someone from Skyler's past returns, stirring up trouble. Add to that a firebug and suddenly everyone seems up to no good, especially when a smoldering corpse is found outside of the local gay bar. 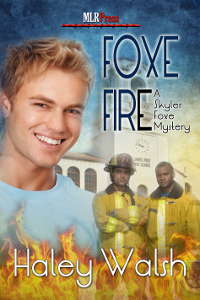 Skyler can't help himself and he gets up to his old sleuthing tricks once more.